Skilled maker and engineer Evan Booth has dismantled and transformed an off-the-shelf Keurig Coffee Maker into a robotic hand in 199 hours, 56 minutes, and 36 seconds. 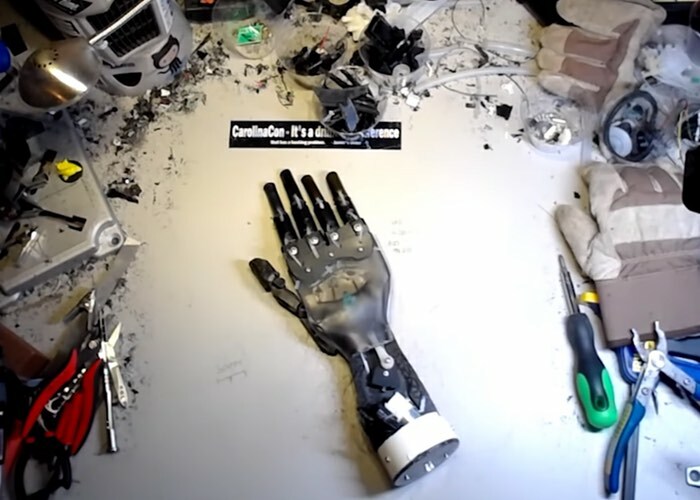 Watch the build process captured below and condensed down to just four minutes to see how Booth has created a robotic hand using only one single Keurig used (K350/300 2.0 Brewer) together with adhesives and a 12v external power supply. • Used basic tools—rotary, heat gun, common hand tools, etc.